Unless you’re writing a Bradley Walsh-tinged game show piece, there can be few situations where it’s appropriate to mention Doctor Who and 3-2-1 within the same breath, but this is one of them. 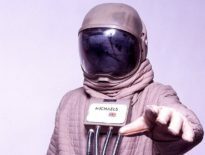 Because Sydney Newman’s timeless science fiction drama and Yorkshire Television’s classic slice of TV nostalgia actually have something in common, besides a shared affection for sentient rubbish bins. 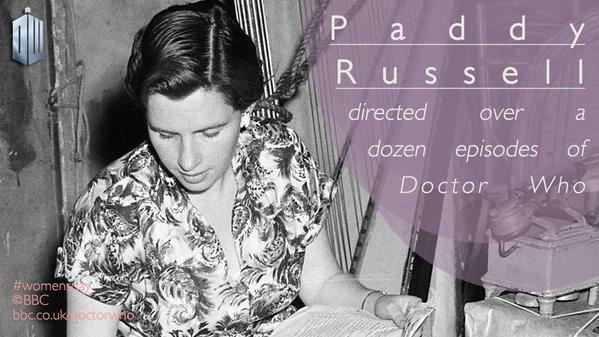 Directorial credits for both sit proudly on the CV of Patricia ‘Paddy’ Russell, who died last week at the ripe old age of 89. Beginning as a production assistant before rising through the ranks to director, her achievements were all the more remarkable for having been one of the first two female directors at the BBC (the other, Julia Davis, would acquire legendary status when she co-created Eastenders). 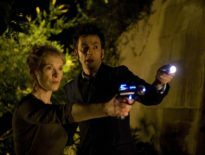 While Russell’s career was long and varied, she will – throughout Doctor Who fandom, at least – be remembered as the woman who directed Pyramids of Mars, and they love her for it. Russell’s story, in many ways, mirrors that of the show’s creators and the Doctor himself: an outsider in a deep-rooted patriarchy who took on the establishment and won. That makes it sound more Hollywood than in all likelihood it probably was. Nonetheless, it can’t have been an easy ride – although having a gender-ambiguous name helped. I spoke to a friend and fellow Doctor Who fan earlier who admitted that, until about ten years ago, he had assumed that ‘Paddy’ was a boy’s name. 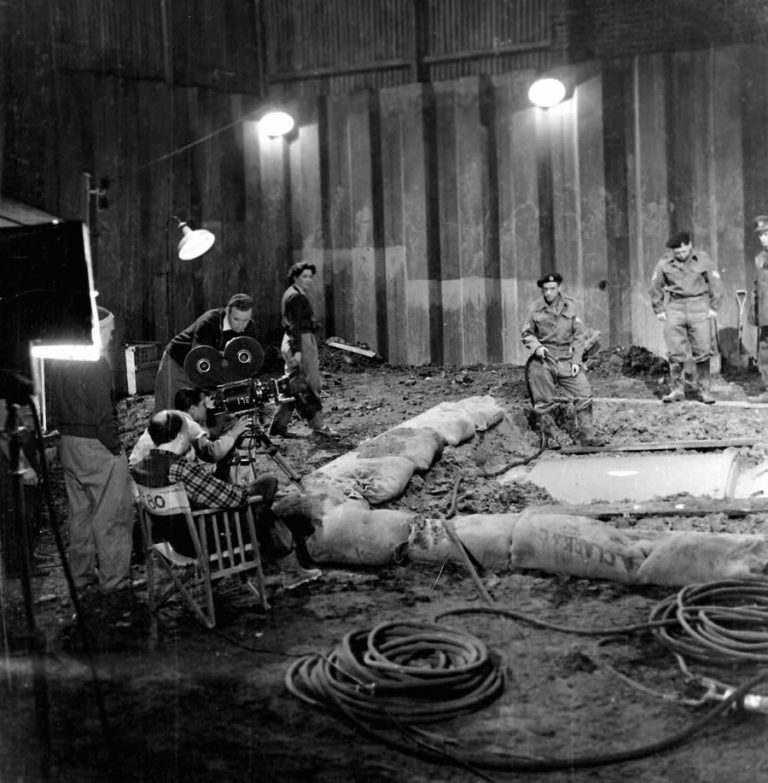 He’s in good company: The Yorkshire Post recounts the tale of a film crew hanging around the studio awaiting the arrival of someone they had all supposed would be male, only to be met by “a little girl in a short blue dress”. Cutting her producer’s teeth on the likes of Hit and Run and Reluctant Bandit, Russell eventually moved into directing, helming no fewer than four Doctor Who stories. It’s unfortunate that we only get to see three of them, The Massacre presumably still languishing the in the depths of a Nigerian vault somewhere. It would be her first experience working with any Doctor, but Russell remembered it with fondness, describing Hartnell as “the best of them”, despite being a little intimidated at first at being paired with a renowned actor some twenty years her senior. The Massacre, of course, is renowned for Hartnell’s dual role both as the titular Time Lord and the villainous Abbot of Amboise – leading Russell to prompt him, whenever the visage slipped a little, that his “Doctor was showing”. The Massacre may be long gone, but the remaining three are fine examples of vintage Who par excellence. Well, two of them are. Invasion of the Dinosaurs, sadly, is always going to be tainted by some fairly ropey looking dinosaurs, an unavoidable by-product of Doctor Who’s minuscule effects budget. For all that, it’s a fun story, and Russell’s steady hand at the tiller kept a troubled production afloat and stable, whether she was getting the pterodactyl to fly, or covertly sneaking out of the studios to film a deserted London at 4 in the morning, taking as few people with her as possible in order to avoid paying extortionate overtime rates – or the prohibitive costs of a permit. Then there’s Pyramids of Mars, one of the greatest Doctor Who stories in the canon (whatever Philip Sandifer thinks) and a masterclass in effective horror. It’s curious that its finest moments are draped in understatement: the camera panning out slowly from a gloomy looking Doctor, before the arrival of Sarah Jane (wearing a dress that is supposedly Victoria’s), whereupon – after the inevitable series of quick cuts – it remains largely static, effectively allowing Sladen to mug just behind him. It’s one of the most endearing moments between the pair if only because it’s so rare that Baker is upstaged – but it happened on Russell’s watch, and largely because of her direction, and for that we should be grateful. It’s consistent, of course, with the way that Russell worked with him. The ‘little girl in a short blue dress’ was renowned for being one of the few directors that could actually handle the maelstrom of pompous fury that was 1970s Tom Baker – a theory backed up by Elisabeth Sladen, who described her as “a force to be reckoned with”. The words ‘friction with Tom’ hide all manner of rows on the studio floor, and if there’s one thing that comes out of Sladen’s Pyramids interview it’s a sense of underlying disapproval for the way that Russell ran the ship, but there may be a reason why Pyramids of Mars is renowned and The Horns of Nimon – the archetype of the uncontrollable Baker – is ridiculed. Curiously Russell herself is quite coy about her own involvement, describing Baker as “desperately difficult to work with” by the time it came to directing Fang Rock. 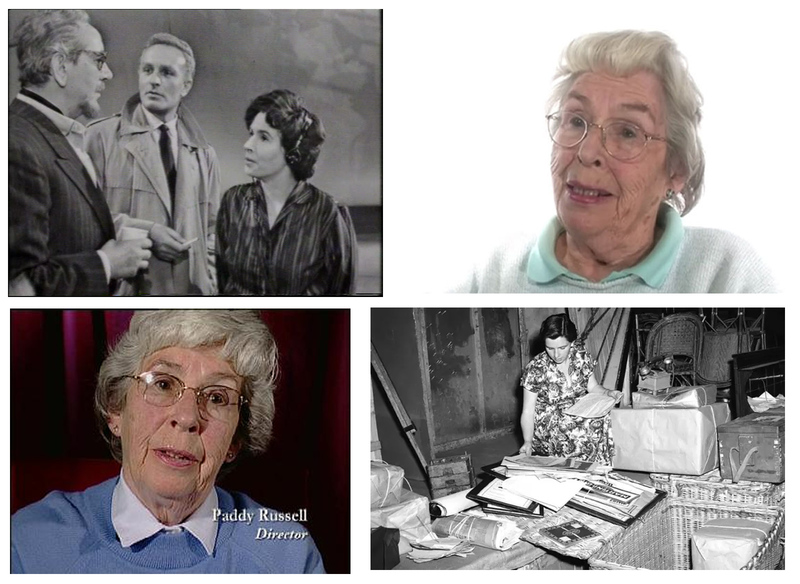 It’s appropriate that Russell would bookend her time at the BBC with science fiction: having started as a Production Assistant on The Quatermass Experiment (1953), she finished at the Beeb by directing the first episode of The Omega Factor, which explored paranormal phenomena and government conspiracy (upsetting Mary Whitehouse in the process), as well as once more pairing Russell with Louise Jameson. The narrative is typically pedestrian for the sort of inaugural instalment of a serial drama, but Russell does get to show some creative flair in the episode’s nightmarish, Escher-driven opening scenes. She may have left the BBC, but her career wasn’t over. Russell began working for Yorkshire Television, directing news and quiz programmes and over fifty episodes of Emmerdale Farm, as it was then. She lived in a cottage in Oxenhope, situated on the Yorkshire moors, west of Bradford and just a couple miles south of Haworth – home of the Bronte sisters, themselves pioneers in a world run by men. Here she spent the later years of her life, until eventually dying in a care home at the age of 89. In a climate where the role of women is being examined with a keener eye than ever, particularly (if not exclusively) within the entertainment business, it’s tempting to look at Russell’s passing as the end of an era, with the Highgate woman herself serving as one of its forebearers. That’s for wiser heads than mine to judge: certainly Russell was humble, even in the later years of her life, about the role she played, as well as her own talent. “I think I had the best of it,” she said. “I worked with a splendid team around me, and I had every facility that one could have.” But that underplays her achievements: if nothing else she’ll be held up as a someone who always played to the strengths of the text, and delivered every time, whether it was following the adventures of Weir and Lynch in Z-Cars, tracking the Doctor and Sarah Jane through an Osiran prison, or documenting the many woes of the Sugdens over in Emmerdale. Perhaps ultimately, it’s best to remember her not just as one of the few female directors of Doctor Who, but as one who also happened to be extremely good at it.